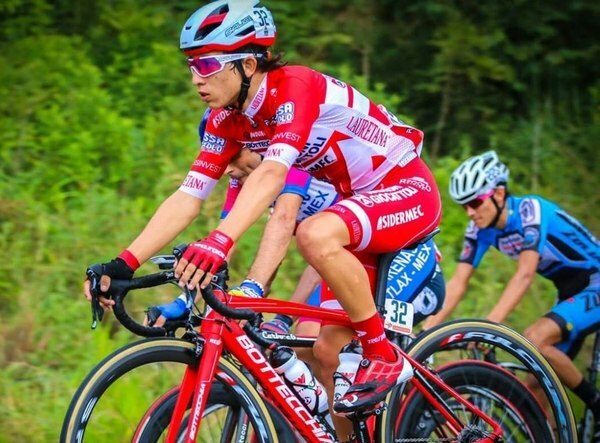 The 20-year-old cyclist Kevin Rivera may become the second tico to run the Giro d’Italia. He has to wait at least two months to see if he will fulfil this dream. It would be a great way to celebrate three years in professional cycling. Rivera joined the team two years ago and has gone through a process that led him to this possibility of being on the starting line. It’s not confirmed but is very possible. The announcement will be made about a month and a half before the competition. The competition will be held from May 11 to June 2. For now, the tico is running in other events. He started the year with the Vuelta al Táchira. He continued a competition on Monday and Tuesday even after an accident that affected his right hand. He’s taking it day by day to see if he can finish the race that ends Friday. He is at about 80% of his normal performance. Next on his schedule is the Tour of Colombia and then Tour of Savoie.